The word is finally out! 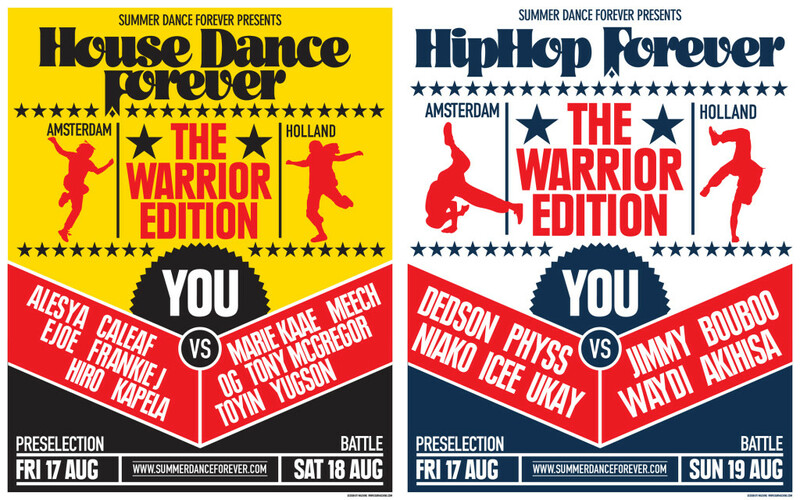 We are excited to announce that this year’s House Dance Forever and Hiphop Forever battle will be the ultimate challenge, with almost every winner from the past joining the battle schedule in the final rounds. Be prepared for the Warrior Editions: you versus the very best. This summer we crown the ultimate house and hiphop champions! ➤ Presale starts on 1 May, 10:00 CET, see here for this year’s package and ticket prices. Soon we will announce this year’s theatre programme, the Locking and Popping judges, the workshop schedule and much more! See here for this year’s programme schedule.